Courtesy of Nicki Minaj’s InstagramTo celebrate the third anniversary of her debut album, Pink Friday, Nicki Minaj has launched her own line of Beats by Dre headphones called Pink Pros. “The Nicki Minaj beatsbydre collection is now complete,” Nicki wrote on Instagram, adding the hashtag “#HappyPinkFriday. 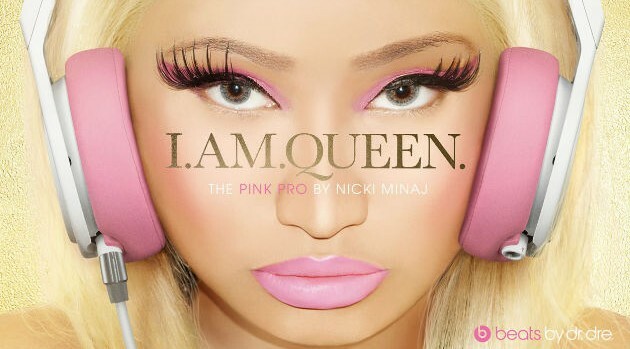 The new headphones join previously released earbuds and a small speaker system in Nicki’s Beats by Dre collection. The new headphones retail for $399.95 and come in one color: pink, like the rest of her collection. Fans can purchase the headphones via Beats by Dre’s official website.